April 21, 2010. 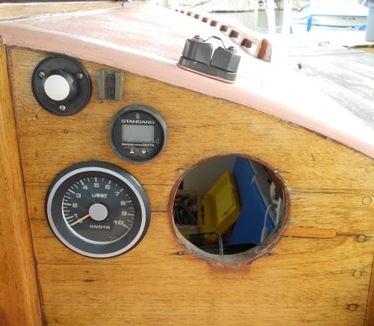 Jim Robinson, Aquila, Pacific Dolphin # 273, sent in an interesting 'fix' on scratched. cloudy plastic windows..
A small but important diversion here - this polish can even be used to polish and clear up the clouded plastic dome on your compass! Truth telling time . See that tiny bubble at the top of the dome? 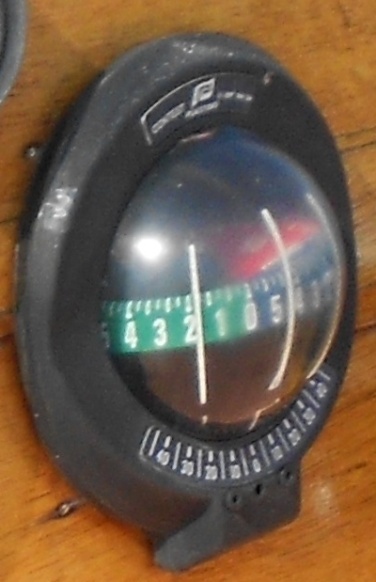 That, coupled with the cloudy compass face led me to decide that after 18 years maybe it was time for a new compass. 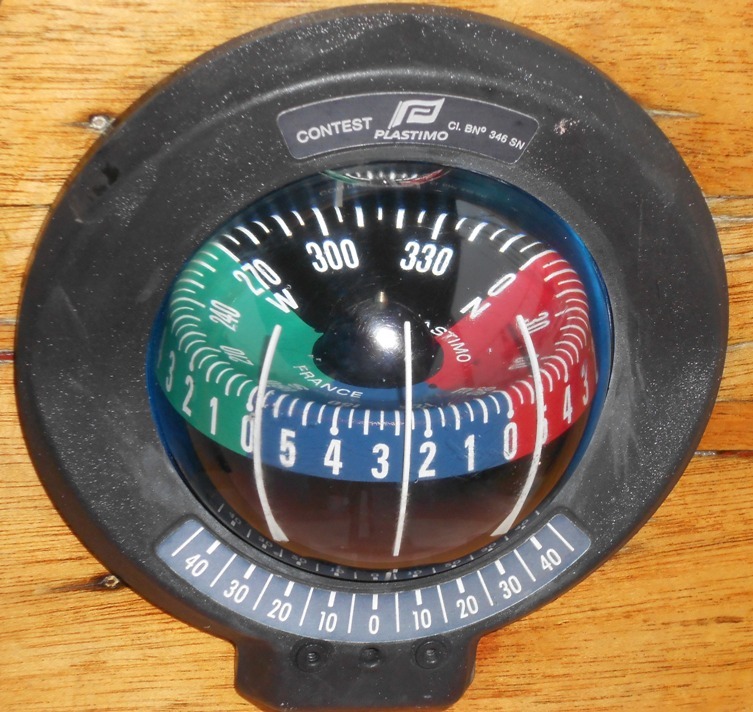 So, laboriously I removed it from the bulkhead and contacted a compass guy who happens to live in my area - he said Plastimo compasses are sealed and difficult to repair/add fluid. He recommended replacement with a Ritchie compass which have a fluid valve. So, I drove to Defender's and looked at new ones - a replacement Plastimo - $250, a Ritchie - $300. But, in a discussion with the Defender sales guy, who had just bought a new Ritchie for his own boat, he said 'try using Flitz polish on the face - it might clear it up". I didn't know Flitz could be used on plastic! I use it all the time - and I even can read! Missed it. My credit card safely in my wallet, I immediately went back home and went to work. Applied with a soft, clean cloth, rubbing it well and clean. Like new!! The little bubble is still there but its been there about that size for several years. Maybe it won't get bigger? Right. This effort got me thinking about the portlight in the v-berth on the port side. Its plastic and that side gets a lot of sunlight and it was pretty 'cloudy'. So here's the outcome with a single polish application of Flitz.